Here are a few ways to help out with Pep Band. All they require is attendance at the 5 home games. They are a lot of fun and the jobs are easy! Purchase snacks for games. RMM will reimburse you. Snacks include chips, cookies, etc. Arrive 30 minutes before game starts and drive your car down Tiger Hollow. Unload snacks during second quarter. Cleanup after half time. Those benches get cold! We have cushions that get rolled out for the kids in the bleachers. Arrive 30 minutes before game time and set up. They are stored in the announcer's box. At end of game, roll them back up and store. Easy! Chaperones are required by the district in order to go trips of any kind. In 2018-19, we are going to Disney from February 15-18. We need a total of 12 chaperones to attend. The cost of the trip for chaperones is $850 and includes airfare, hotel, park passes, and at least one (sometimes 2) meals a day. For the large ensembles in band and orchestra, the dress rehearsal is broken up by a 30 minute pizza dinner. Each one of these requires 4 parents. One person runs point and will place the order. The rest need to arrive at 7:15PM and set up in the student center, receive the pizza delivery and prepare for distribution. Dinner starts at 7:30 and runs until a little before 8:00. Afterwards, the boxes need to be stacked and the tables wiped down (otherwise we get charged custodial overtime!). There are two of these a year per large ensemble, and a few special ones for Festivals we host. 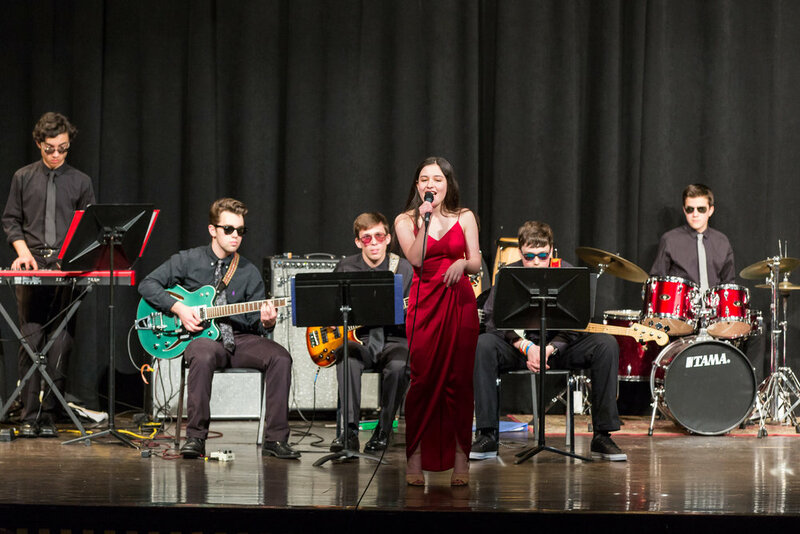 It is a mission of Ridgefield Music Matters to inspire younger musicians to continue their studies at Ridgefield High School. As such, there are various areas of advocacy and publicity where our presence can help the community learn more about our program. 4 people to run RMM table in the lobby before the concert, during intermission, and after the concert. Monitor the band room before the performances and assist the directors in getting students to their seats. In late January, each ensemble puts on a Festival Concert in conjunction with the middle schools. It is an afternoon of rehearsals culminating in a collaborative concert in the evening. It is our chance to put our best foot forward and show the younger generation and their parents what a great program we have and how involved and supportive our parent organization is. Each event deals with well over 200 students, so we need your help! Setting up and cleaning up dinner for all the kids. Time of this duty is roughly 6PM. Setting up reception in student center after festival is completed.